On March 5, the Canadian Gas Association (CGA) recognized Utilities Kingston with a Public Safety Leadership Award at its annual conference in Ottawa. “Our staff is committed to preventing damage to utility lines. Safety is always our top priority. We have implemented safe work processes and checks – and we have promoted awareness among contractors and the community. We’re very proud of this work and of this award,” says Jim Keech, president and CEO of Utilities Kingston. The CGA gives out three Leadership Safety awards each year to note achievements that advance the industry’s journey toward a systemic and dedicated approach to health and safety management. Jim Ingram, subforeperson, service and gas operations, and Mike Pritchard, damage prevention coordinator, accepted the award on behalf of Utilities Kingston. A strong internal culture and dedication to damage prevention. Gas construction and locating staff spreading the word about how to prevent damage to gas lines. Promotional campaigns that increased public awareness of how to avoid damaging gas lines (e.g., urging customers to call to locate underground utility lines before they dig). Staff knowledge of multiple utility infrastructure and fast response (average 20-minute) to attend to gas lines damaged by a third party. Accurate internal information and infrastructure mapping. A proactive approach to locating private infrastructure, ensuring it receives the same attention to safety as municipal infrastructure. 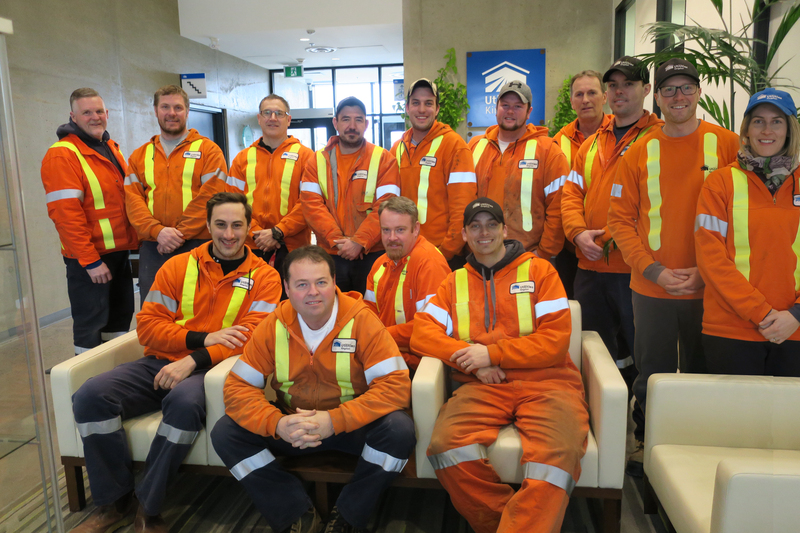 Also recognized: AltaGas Utilities, City of Medicine Hat, Union Gas, and TransCanada Corporation for their safety leadership in the categories of worker, employee and vehicular safety, as well as lifetime achievement.